Kalsamrit MMA provides Adults and Children with Mixed Martial Arts training including Muay Thai, Jiu-Jitsu, Boxing, Kickboxing, Wrestling, Judo, Strength & Conditioning and more. Kalsamrit Martial Arts Port Perry provides Men, Women and Children with Martial Arts including Muay Thai, Jiu Jitsu, Boxing, Kickboxing, Wrestling, Strength & Conditioning and more. Ladies Martial Arts by Kalsamrit Gym is providing a fun and inviting way for women to learn martial arts. A women's only martial arts facility for the Durham Region and Clarington area. With 2 locations available! Bruckmann Martial Arts provides Oshawa with world class Brazilian Jiu Jitsu training with Justin Bruckmann. Adult and Kids BBJ Class available Monday to Friday. Shoot Wrestling Canada with instructor Ron Beer. SWC provides training in Shoot Wrestling, Family Self Defense, Boxing, Law Enforcement and Coaching Certifications. 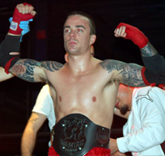 Professional Muay Thai Fighter & Pro Amature MMA Fighter Brendan "Red Rum" Kalijundic is from Bowmanville, Ontario. Kru Brendan Kalijundic is also owner of the famous gym Kalsamrit. Former UFC Superstar and UFC Veteran Antonio Carvalho. Training out of Oshawa, Ontario. 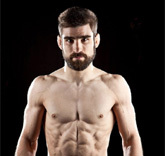 Antonio Carvalho is kind, caring and all around good role model to Durham MMA. Savannah "Lion Heart" Foden is the elder of the famous "Fighting Fodens". This Muay Thai Fighter currently holds 16 Championship belts from local to worldwide at the age of 16. Ethan "Da Chef" Cook is the a 17 year old Muay Thai fighter, 1 of 6 Canadian Muay Fighters to represent Canada in it's 1st ever invitation to the Junior National Muay Thai Championships.